Biosphere destinations are committed to ensuring continuous improvement to adequately balance between the areas of: combating climate change, protecting the environment, cultural, social and economic, through the 17 Sustainable Development Goals of the United Nations. Any type of tourist destination can become a Biosphere Destination, regardless of whether or not it is integrated into another destination, whether or not it has normative capacity, and no matter the level of development or tourist maturity. We will accompany you and help you establish the objectives, resources and monitor tasks for continuous improvement. Public policies advance with the Biosphere© standard. After an evaluation, the Biosphere© Certified Destination stamp is granted. Biosphere© Certified destination + the commitment of companies within the destination is structured. Companies receive the Biosphere© Committed Entity distinction and after an evaluation the Biosphere© Gold Destination stamp is obtained. Biosphere© Gold Destination + the consecution from a certain number of companies of the Biosphere© Certified Stamp. After an evaluation the Biosphere© Platinum Destination stamp is granted. The largest sustainable tourism community in the world. More than 30 million tourists visit Biosphere Destinations and companies. Costa Barcelona is strongly committed to the development of a responsible and accessible tourism model, geared towards ensuring the sustainability of the destination and the tourism companies operating here. The natural landscape of the Thompson Okanagan includes mountains, valleys, desert, and everything in between. Here foodies flock to the area's renowned orchards and vineyards. Find out more about the management and tourism positioning system for continuous improvement. What is the Biosphere Destinations Community? 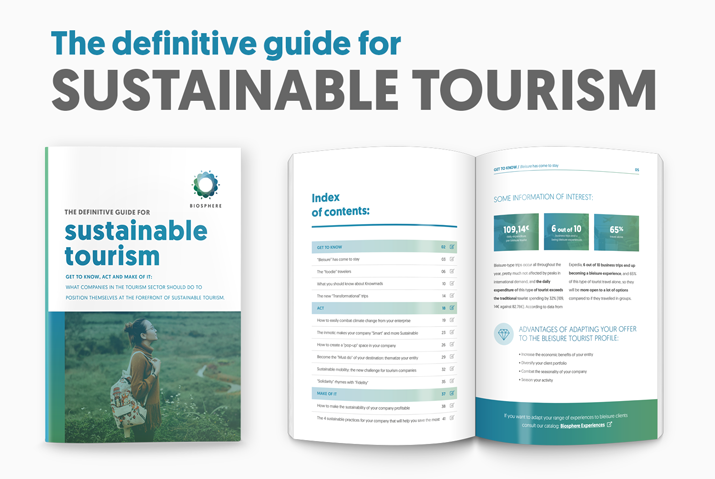 A sustainable tourism destination has the ability to promote sustainable tourism in its environment, raising awareness and involving society and private companies in its geographical area, promoting policies that allow them to achieve their own seal of sustainability. 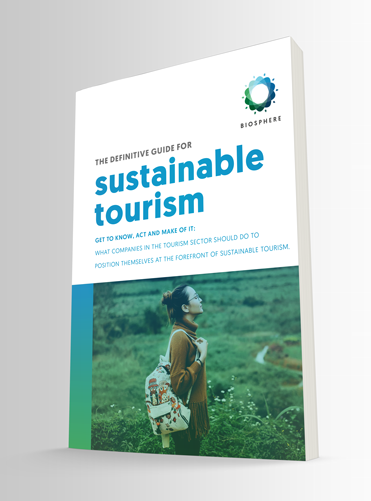 For this, in Biosphere we have designed the Biosphere Destination certification, with which the Destinations guarantee tourists the continued commitment to tourism sustainability. To obtain it, we accompany the Destinations in achieving the objectives of sustainability and continuous improvement based on the requirements set by the certification system. The private Biosphere certification system, voluntary and independent, is based on a series of requirements with specific objectives that can be identified and measured, serving as a tool for continuous improvement to guarantee the commitment acquired by destinations, companies and tourism services. The continuous improvement of all these objectives together with the implementation of the policies marked in this seal, help to ensure the sustainability of the geographical area, regardless of its size, location and level of development. What Biosphere certifies is that the destination is improving every year, involving companies, citizens, communicators and tourists. If you want your destination to have our Biosphere Destination seal, contact us and we will offer you all the necessary tools and support, as well as accompany you on this path. The Biosphere Destination certification is a continuous accompaniment methodology. Our goal is to collaborate with the destination in knowing what tourism sustainability is, what impact it has, how to measure it, where to focus efforts, how to communicate it, etc. Thus, what we really certify is the process of continuous improvement. What methodology does the Biosphere certification follow? The first thing that is done is to sign a letter of commitment with the highest authority of the destination. This way, citizens, tourists and stakeholders will know that the destination has sustainability and profitability (economic, social, cultural and environmental) as a road map. After this, a detailed but concise diagnosis and analysis of the improvement actions is made and, after the evaluation, the certification is granted. Each year the improvement process is evaluated, accompanying the destination at all times to establish the measurement systems, collect information of interest, focus on resources, promotion and communication actions, impact on other non-tourism areas, development of new projects, etc. Yes. It does not matter if you are a mature destination or if you are just starting. Neither does it matter if you have many or few resources, or if you are set in a developed or developing country. The only thing that is asked is that you are a tourist destination as such. Even if you are not yet a destination, get in touch with us and we'll help you become one! (brand creation, strategic plan, product creation, etc.). Sustainability is a path, and Biosphere is doing it along the way and certifying that you are improving year after year, wherever you go from. Achieving the goals of the 17ODS is a global task, it is for everyone! What is the price of the certification of a destination? The price of the certification, both in the first year and in the annual renewals, depends on the number of inhabitants of the destination. Countries with a lower Human Development Index will be granted a discount. In addition, we include the process of adhesion to the commitment of the destination by companies, a powerful tool to achieve a total involvement by all the actors in tourism. What requirements are taken into account for the certification of a destination? The requirements we will work on to help you improve every day are the ones approved at the international summits of 2017, the International Year of Sustainable Tourism, sponsored by the United Nations through the UNWTO and UNESCO. So, there is no better model to work on! How do I obtain and how could I lose the certification? To obtain the certification and, above all, to maintain it, you only have to demonstrate commitment to improve each year. If after the annual evaluations it is shown that you have not improved or worked on the improvement of your destination, you would lose the certification. What are the benefits as a certified destination? In addition to participating in the Biosphere Destination Community with destinations that improve sustainability, you will improve your profitability and we will help you in the promotion of your destination. Furthermore, you will have access to a platform for selling tourism experiences, training and qualification, international recognition, a flexible and customizable platform to achieve business involvement, etc. Thanks and through this platform, companies and tourism services in your destination will have access to the best resources in the world in terms of sustainable tourism: training, guides and examples, comparatives and media, suppliers and direct sales to tourists, among others. Is it a personal or an online service? Biosphere has representation in the following countries, so the accompaniment service can be done both in person and online. In addition, it has the most powerful and innovative platform in the world in terms of sustainable tourism: training and excellence, commitment process for companies in Biosphere destinations, online certification process for companies, platform for the sale of sustainable tourism experiences (¡ with a capacity for evaluation and assessment of sustainability by the tourist! ), and a long etcetera that never stops growing and improving. We are the best academy of sustainability, formed by the best international experts, with the best scientific, promotion, use of new technologies and communication team. All of that with the endorsement of RTI, the entity that has defined sustainable tourism from its conception in 1995. Be part of the Biosphere family and begin the only path that ensures tourism competitiveness. When am I part of the Biosphere Destination Community? As soon as you begin the process of continuous improvement, after signing the Letter of Commitment, you will become part of the Biosphere Destination Community. You will get in touch with those responsible for them, you will participate in joint promotion actions, exchange of experiences, etc. For certifications for tourist destinations, we need to get in touch with you to better understand your needs. Please fill out the form and we will contact you.